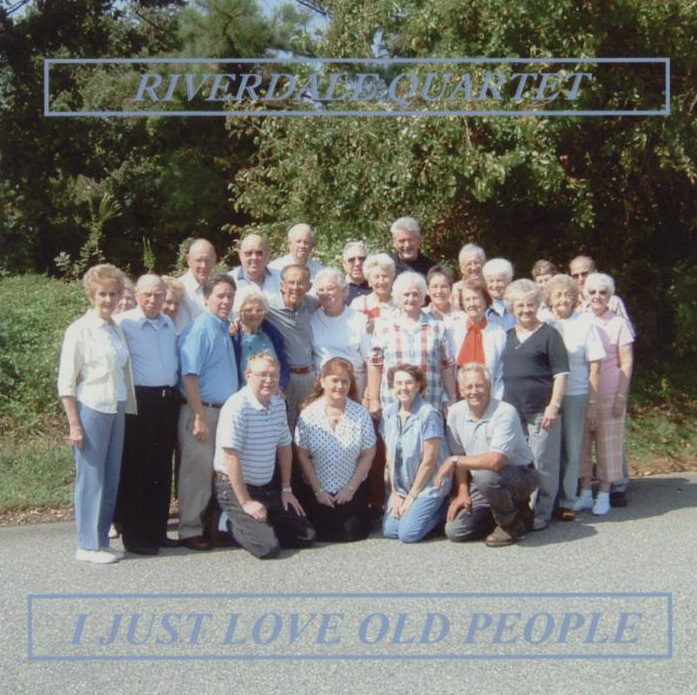 We started our group on a Sunday morning in the spring of 1987. 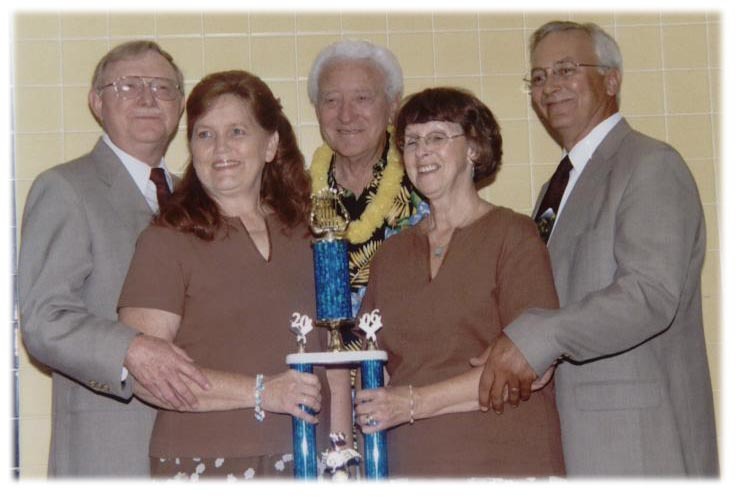 Walter and Jean Gay, Roylleen Brown and Frank Earwood, accompanied by Nancy Forrest on the piano, sang “Sweet Beulah Land”. We enjoyed singing together so much and were so well received by our congregation, that we decided to keep the quartet going. Since Frank’s calling was a pastor (he was our interim pastor at the time), he asked us to get another bass singer. God led Earl Freeland to join our group. 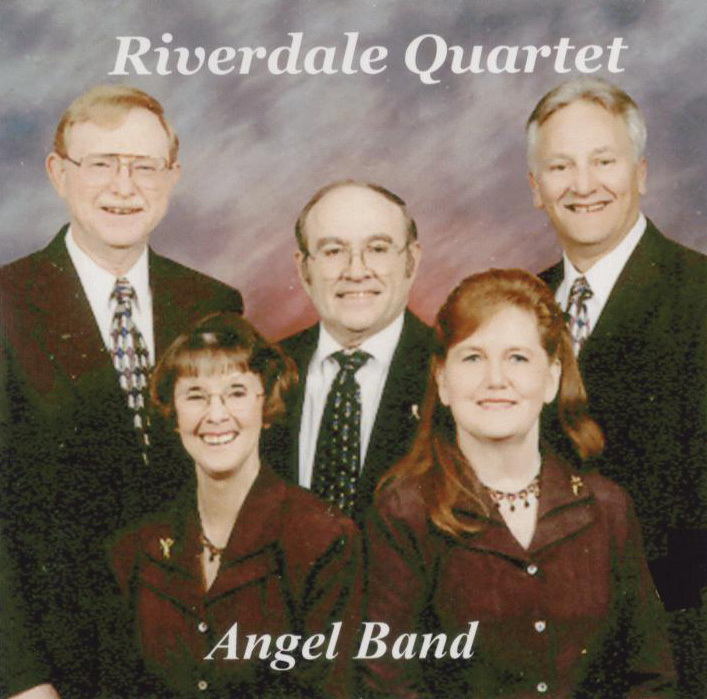 Since being known as “the quartet from Riverdale Baptist Church” was somewhat cumbersome, we shortened it to The Riverdale Quartet. We were blessed from the very beginning with many invitations to share our ministry. After several years, Nancy, due to health issues, was unable to continue to play for us. Sharon Giles filled in for her to help us complete our scheduled dates. We purchased sound tracks in order to continue singing together and have been using them ever since. Soon Steve and Evelyn Brace joined us, with Steve operating our sound system and Evelyn attending our product table. In 2001, after 16 years with us, Earl was called home by the Lord. After a few months of singing as a trio, God led Greg Crabb to join us. On a couple of occasions when a group member was out of town, Sandy Johnson and Joel Ross filled in to allow us to honor a commitment. 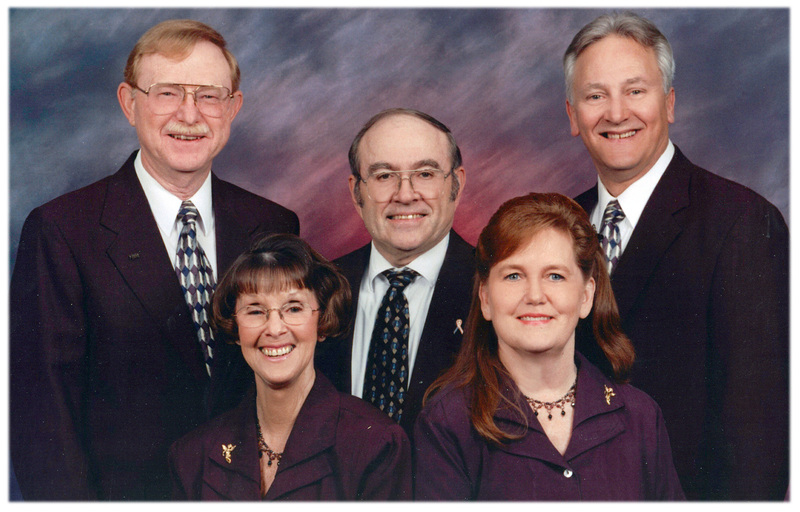 When we began in 1987, we dedicated our ministry to God’s service and agreed never to ask for money. We have remained true to that commitment and God has provided for us far beyond our expectations. Not only has He provided for our expenses, but has allowed us to contribute to several mission projects. Our desire is to share the Gospel of Jesus Christ through songs and testimonies. 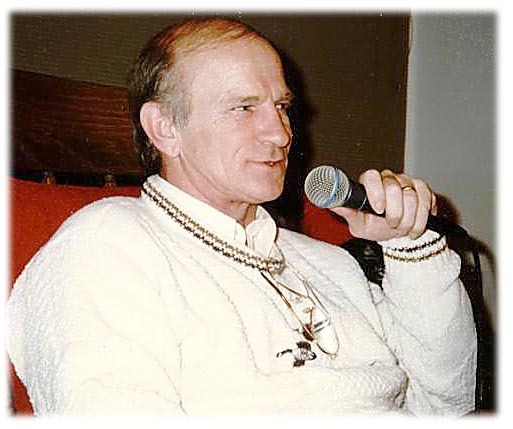 We have been sharing Gospel music with others when and where He leads us, from North Carolina to Pennsylvania, at church services, class meetings, banquets, and Gospel Singing Conventions. We also perform regularly at Pine Chapel Baptist Church. We have a saying on our trailer - “Have Song - Will Sing”, to indicate our willingness to go where God sends us. Our prayer is that God will bless all who hear us as much as He has blessed us. 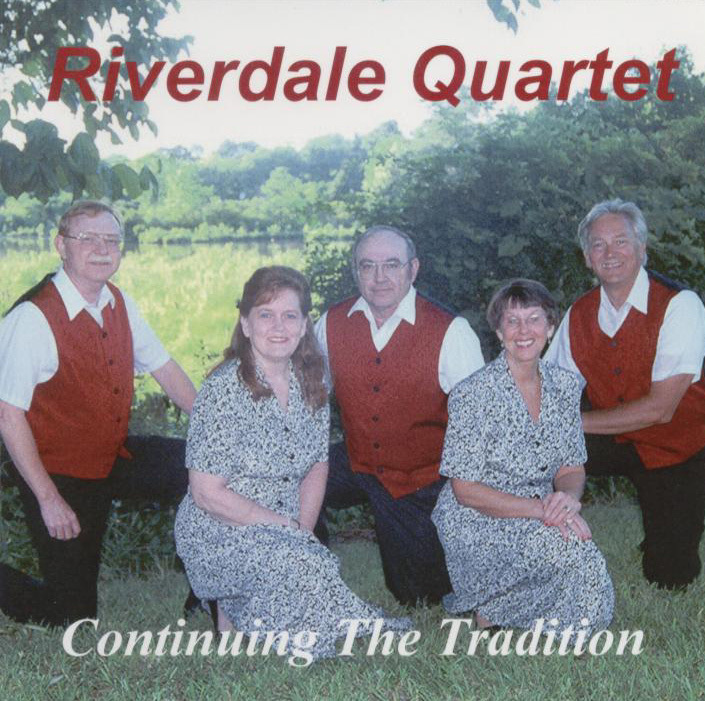 Our Gospel music has been professionally recorded on CDs and cassettes and is avaliable at our concerts. There is no charge for bookings, for we sing for the Lord. However, freewill offerings are accepted to defray expenses. No church is too small or too large.